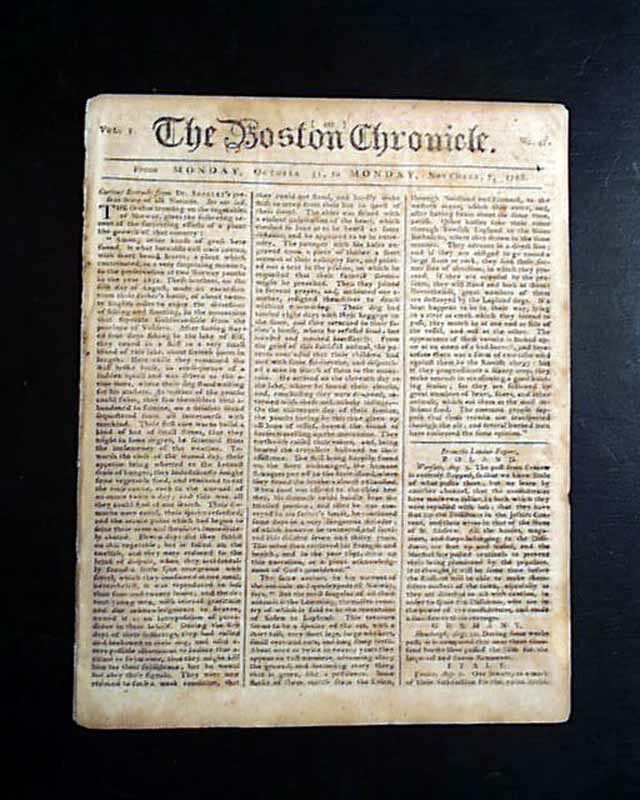 THE BOSTON CHRONICLE, Nov. 7, 1768 A report from Charleston notes that: "About a dozen of the ringleaders of the late disturbance at Dr. Turnbull's settlement at the Mosquito Harbour in East Florida, we hear, have been secured...". This is followed by a lengthier report from Mecklenburg beginning: "Gov. 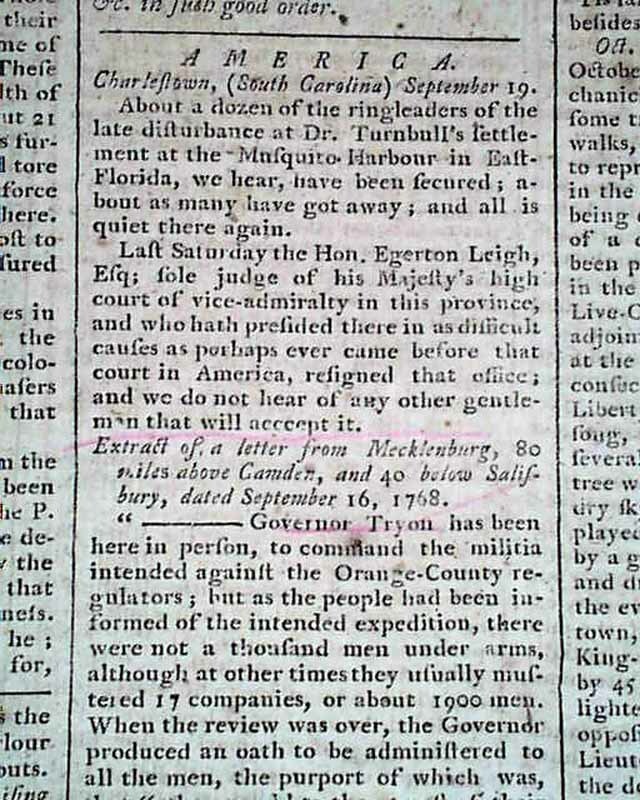 Tryon has been here in person to command the militia intended against the Orange County regulators..." with much more (see). 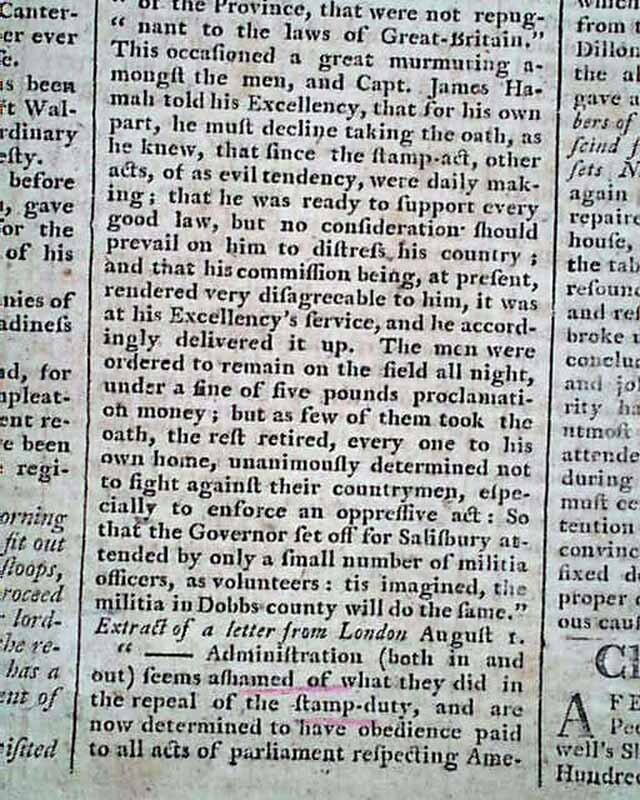 And a letter from London includes: "...Administration seems ashamed of what they did in the repeal of the stamp duty & are now determined to have obedience paid to all acts of parliament respecting America: For this end they propose to begin at Boston, where they say lies the nest from which all the evils have sprung. 'Tis said six regiments will be kept there besides a number of men of war." (see). 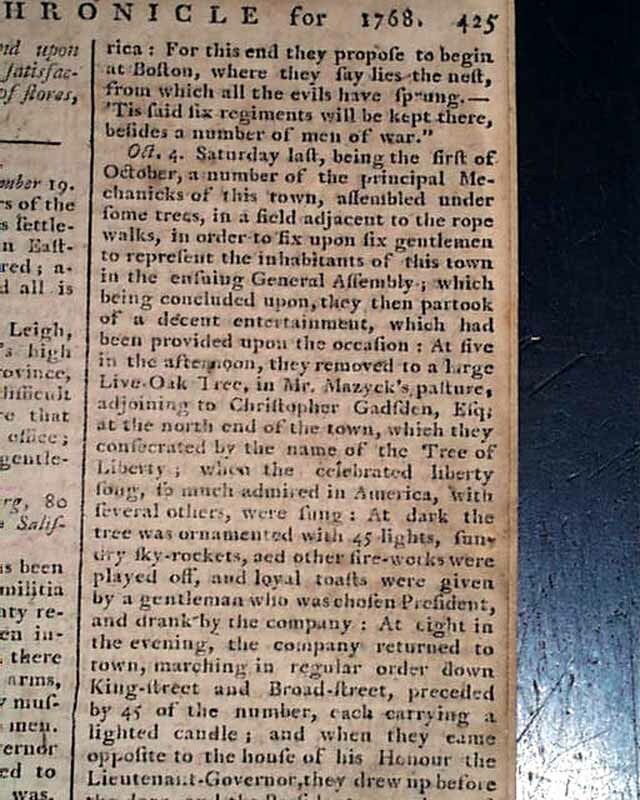 Also: "...they removed to a large live oak tree...which they consecrated by the name of the Tree of Liberty; when the celebrated liberty song, so much admired in America, will several others, were sung..." with much more, & ending with: "...determination to join, upon all proper occasions, in support of the glorious cause of Liberty & their Country." (see). 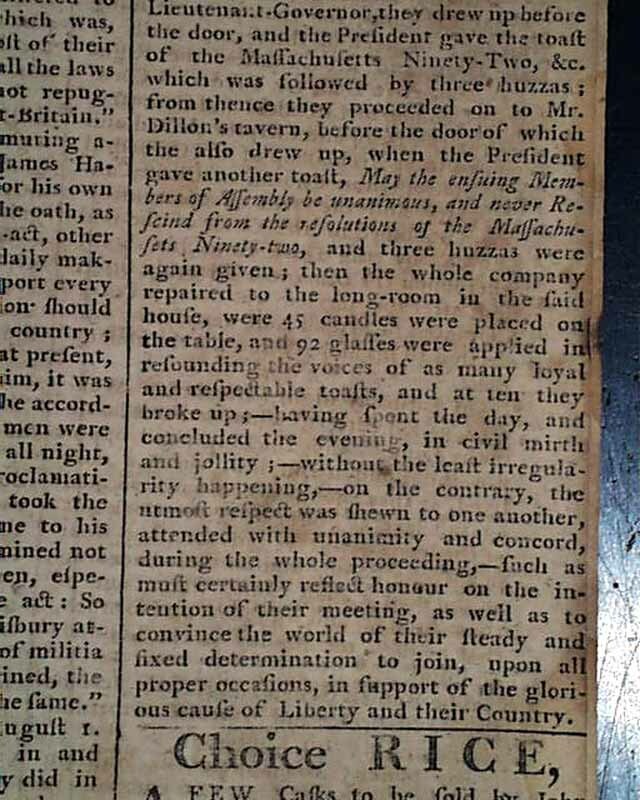 Near the back is a report from Fort Stanwix concerning relations with Indians. 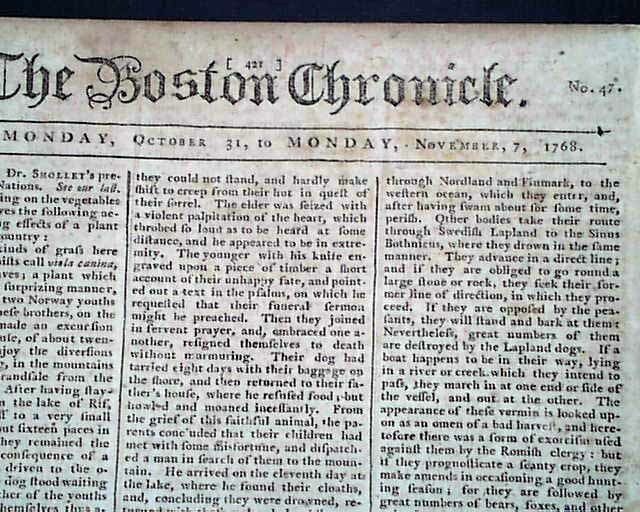 Eight pages, 8 1/2 by 10 1/4 inches, very nice condition.